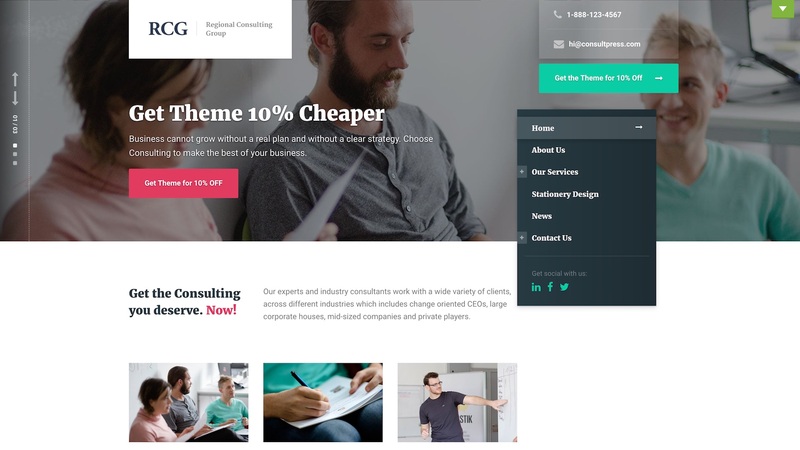 ConsultPress is a niche, consultancy WordPress theme from ProteusThemes. 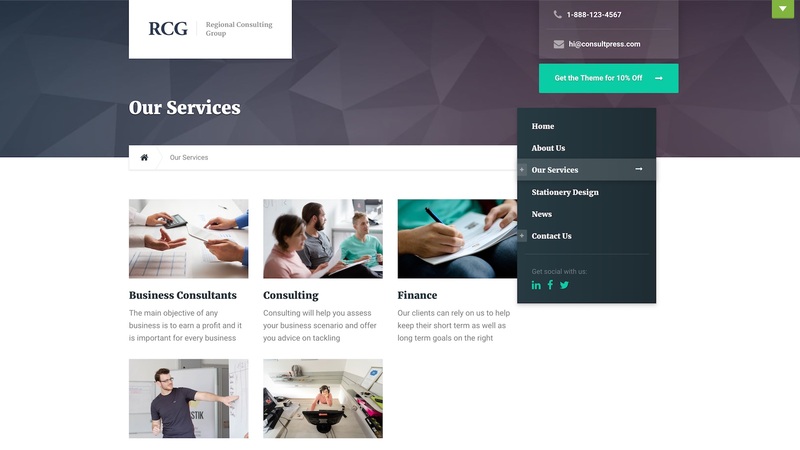 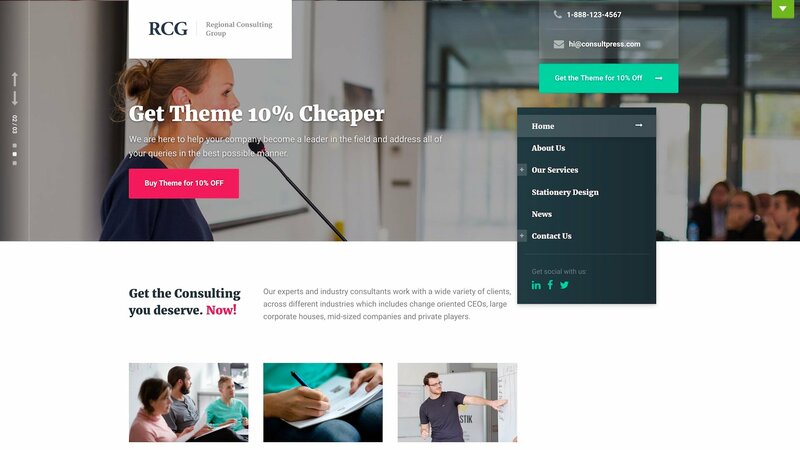 It is the perfect theme for accountants, managerial advisors or analytical consultants looking to create a business website with a professional look and feel. 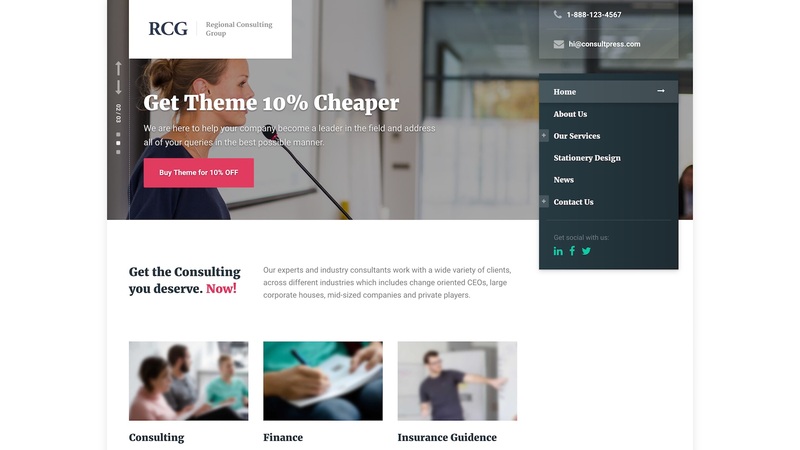 ConsultPress features both wide and boxed layouts and is built around a sidebar navigation menu that floats as you scroll down the page. 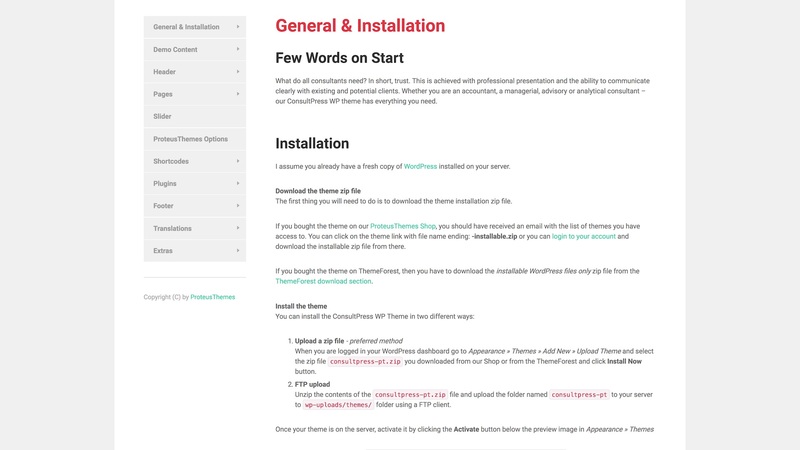 The menu includes social icons linking to your favourite social networks. 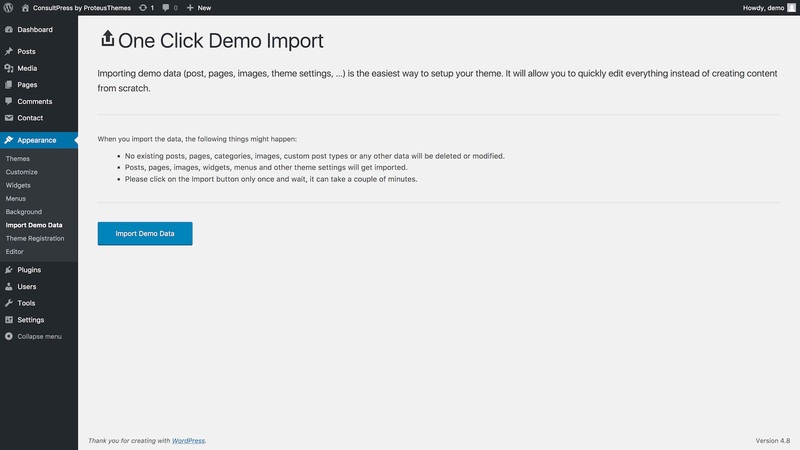 ConsultPress includes One-click Demo Import, giving you a head start on your content creation by importing all available content from the ConsultPress demo site with a single click of a button. 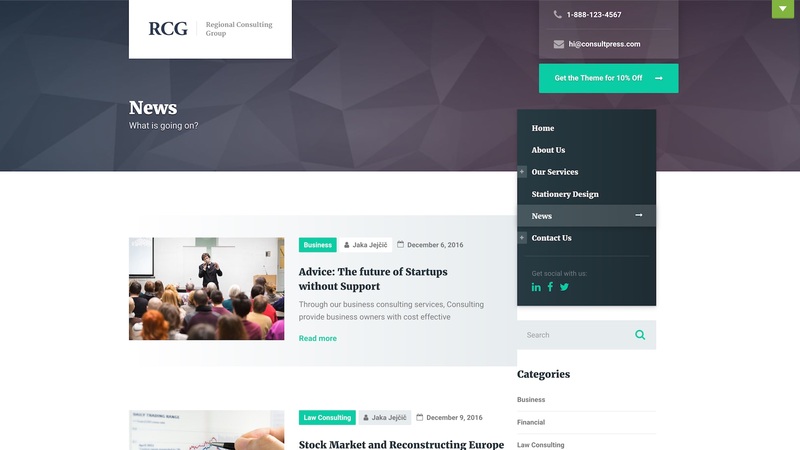 The demo content includes a homepage, our services pages, latest news and a contact page. 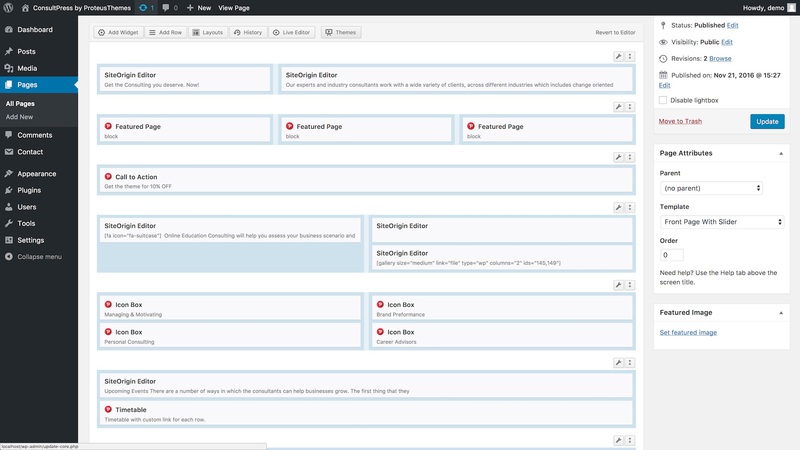 ConsultPress is fully integrated with SiteOrigin Page Builder, offering an intuitive drag and drop interface for maximum control over your page layouts. 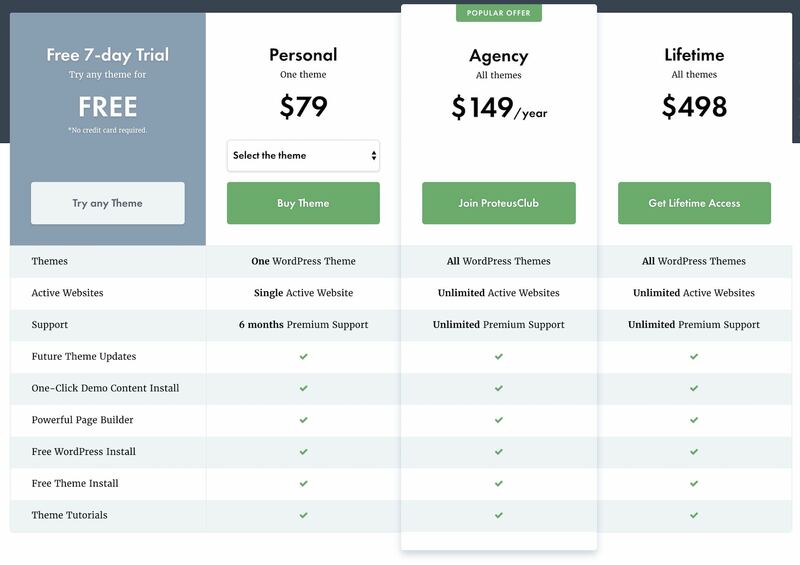 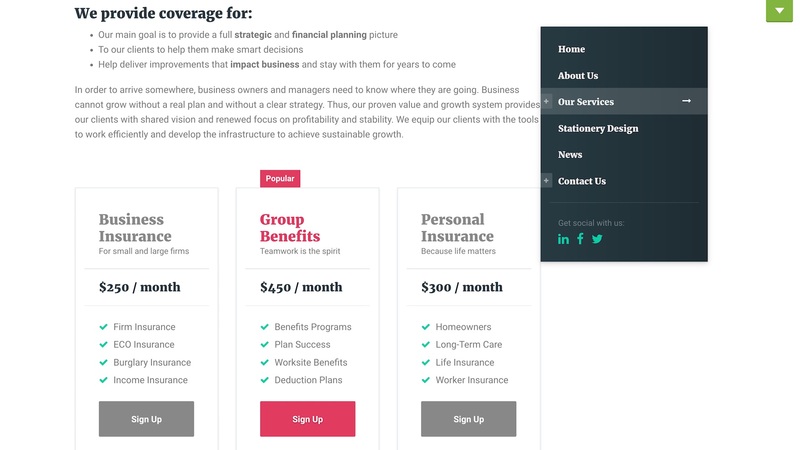 You can fill your pages with rich content using SiteOrigin Widgets Bundle and more than 20 custom ConsultPress widgets, from team profiles and video sliders to pricing tables, testimonials and detailed event widgets. 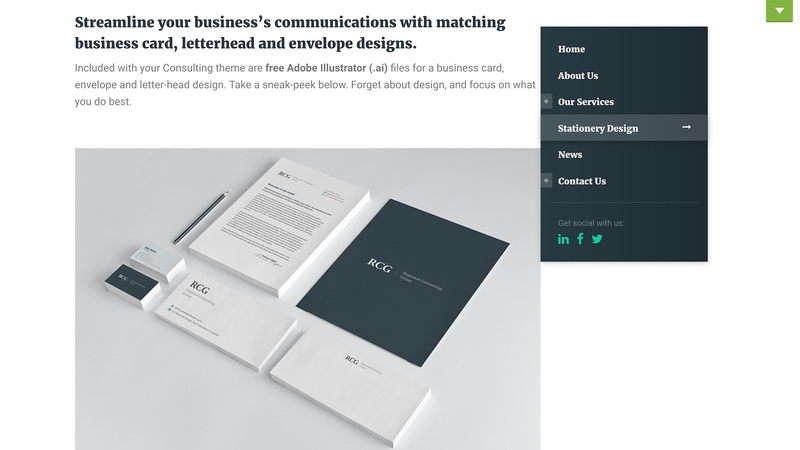 Included in the theme offering are free Adobe Illustrator (.ai) files for a business card, envelope and letterhead design. 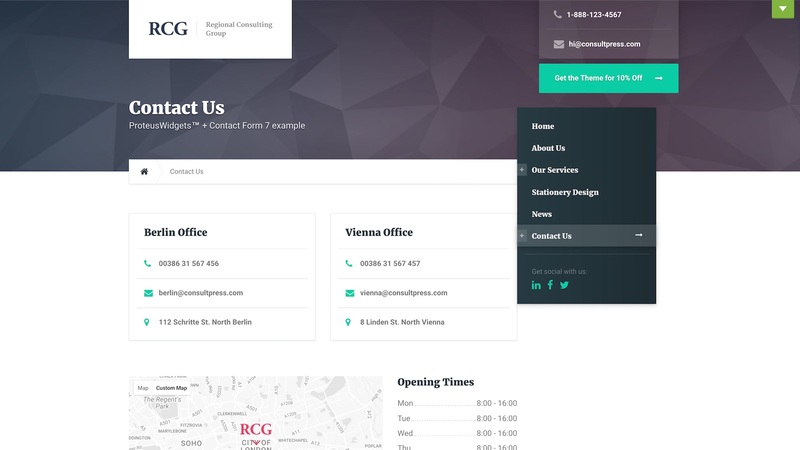 ConsultPress is well documented covering all aspects of the theme configuration and guiding you through the installation and demo import process. 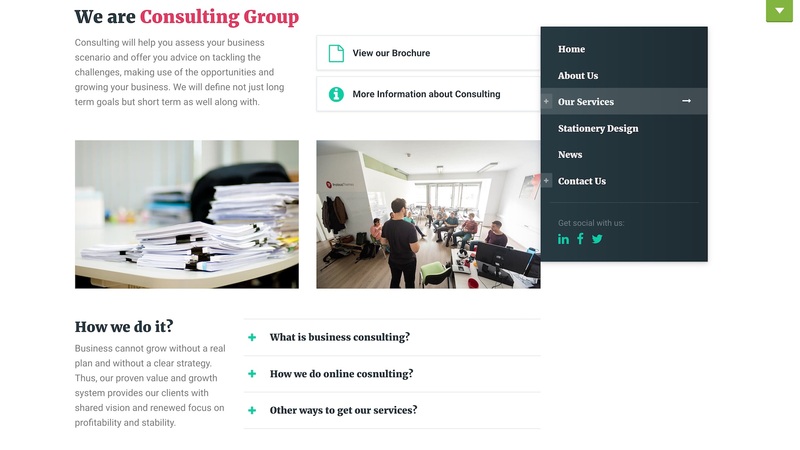 And that’s ConsultPress. 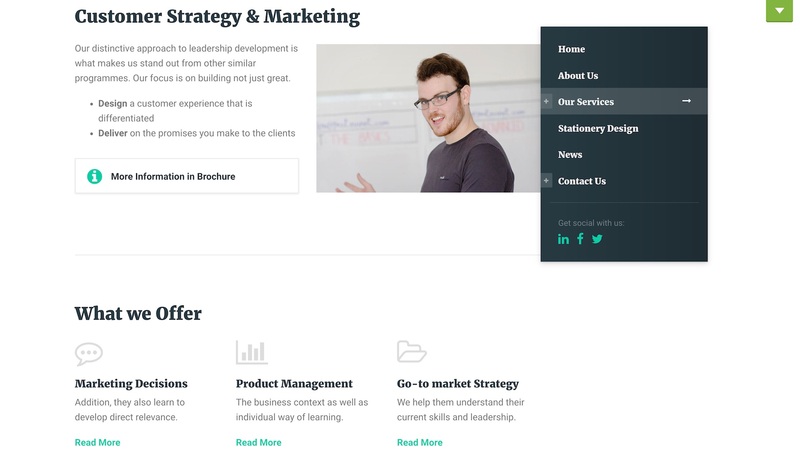 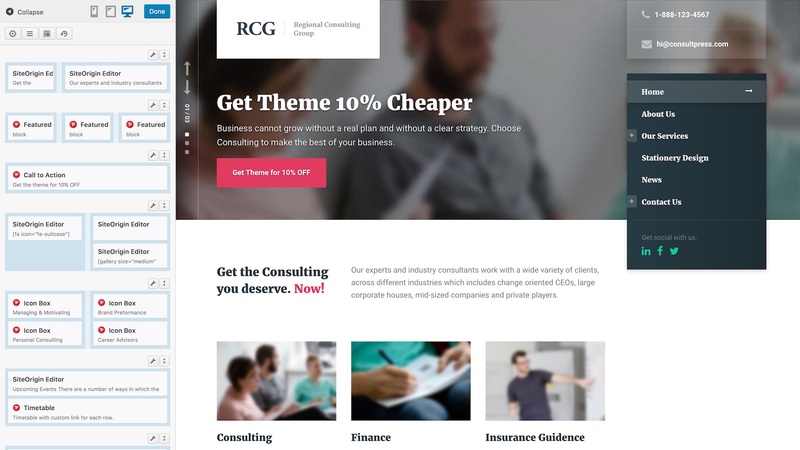 A niche, consultancy WordPress theme perfect for creating your professional consultancy website.